Batelco, the Bahrain-based telecommunications group with operations across 14 countries, posted a net profit of BD17.3 million ($45.9 million) for the third quarter of this year, a 179 per cent increase from BD6.2 million for the corresponding period of 2017. The net profits attributable to equity holders of the company for the first nine months of 2018 was BD46 million ($122 million), up from BD25.2 million for the corresponding period in 2017, an increase of 83%, it said. The results were in line with the promising figures announced for the first six months of the year reported in the H1 2018, the company said. • Q3 Operating Profit of BD20.0M, up by 78% from BD11.3M in 2017 and nine-month period Operating Profit of BD60.5M, an increase of 47% from BD41.2M in 2017. • Q3 EBITDA of BD36.3M, up by 33% from BD27.2M in 2017 and nine-month period EBITDA of BD109.2M, an increase of 20% from BD91.2M in 2017. • Q3 Revenues of BD101.5M, growth of 5% from BD96.5M in 2017 and Revenues for the nine-month period of BD301.5M, an increase of 9% from BD277.6M in 2017. • Q3 EPS of 10.4 fils compared to 3.7 fils in Q3 2017, an increase of 179% and EPS for the nine-month period of 27.7 fils compared to 15.2 fils in 2017, a 83% increase. In line with the first two quarters of 2018, revenues for the third quarter have increased by 5% over Q3 2017 from BD96.5 million ($256 million) to BD101.5 million ($269.2 million). Revenues for the first nine months of 2018 are BD301.5 million ($799.7 million), an increase of 9% when compared to BD277.6 million ($736.3M) revenues for the first nine months of 2017. 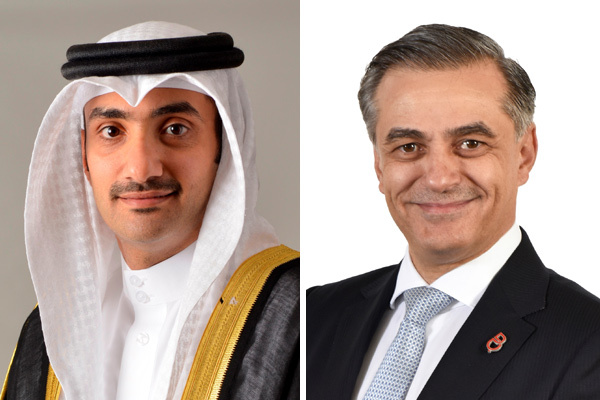 Revenues have been positively bolstered by continued strong performance at Batelco Bahrain, Umniah in Jordan and Dhiraagu the Group’s operation in the Maldives. Revenues were mainly boosted by improvements in broadband and adjacent services, with growing broadband subscriber bases in all three locations. The group’s balance sheet continues to be strong with total assets of BD909 million ($2,411.1 million) as of September 30, 2018 compared to BD932.5 million ($2,473.5 million) as of December 31, 2017. Net assets as of September 30, 2018 stand at BD497.8 million ($1,320.4 million) compared to BD502.5 million ($1,332.9 million) as of December 31, 2017. The group’s cash and bank balances are a substantial BD151.2 million ($401.1 million). This includes the impact of the interim dividend of 10 fils per share announced and paid during the quarter. Total Equity attributable to equity holders of the company is BD460.7 million ($1,222 million) compared to BD461.9 million ($1,225.2 million) as of December 31, 2017. Earnings per share (EPS) are 10.4 fils for the third quarter of 2018 compared to 3.7 fils in Q3 2017 resulting in EPS of 27.7 fils for the nine-month period compared to 15.2 fils for the corresponding period of 2017. Batelco chairman Shaikh Abdulla bin Khalifa Al Khalifa said: “The Group has witnessed a positive performance reflecting Batelco Group's overall strategic plans, and will continue to work at the same pace in all locations, in order to achieve the desired results for the full year.